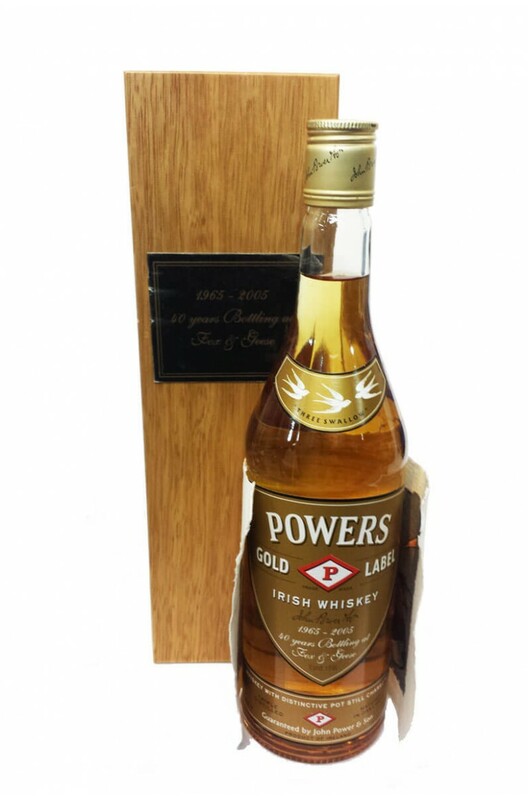 This bottle of Powers Gold Label was produced to celebrate 40 years of bottling at the Fox and Geeese facility. It is presented in a wooden box with a special parchment. Only 150 bottles were made.